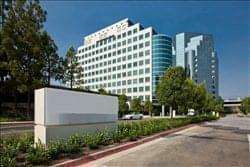 Find My Workspace lists over 95% of the executive office suites market in San Diego. Simply click Request Quote to check pricing for one office, or Add to Basket for multiple offices. There are tons of eateries and shopping close to this location and plenty of bus routes and trains for transportation. This space is a great place to make your new office. It offers an office feel in a networking environment. Alongside with motivated and driven individuals you and your company will defiantly thrive. Private offices at this executive business center location come fully furnished with desks and chairs, as well as 500 Mbps direct fiber internet and WiFi at no additional cost. Both clients and their guests enjoy free access to beautiful amenity areas, including a fully-stocked kitchen with espresso bar and local beer on tap, a rooftop deck and lounge area, and co-working space. The all-inclusive rent means that you pay no extra fees for utilities and taxes, mail service, company logo display, or 24/7 secured access, so you can focus all your time on gaining new clients and growing your business. This center welcomes you on the second floor of an 11-storey Irvine Company LEED certified building in UTC / La Jolla. It has 5,300 square feet of space and administrative staff services. This center offers 13 turn-key offices, four conference rooms, several workstations and a staff who will become your customer service and executive receptionists. All offices except for two have views, are fully furnished, have wireless and hardwired access at 100M speed, up and down. All leases include a La Jolla address for mail, reception courtesies, unique phone number, suite and lobby listing, and gym/sauna. 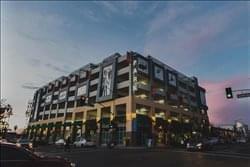 The center features a dedicated parking structure with 30 minutes free for all clients and visitors. The staff consists of 5 people who focus on incoming call and administrative services for a great variety of clients. Agreements are a minimum of 6 months. La Jolla, San Diego - Fay Ave. This site located in La Jolla is a shared coworking space designed to meet any expectations you might have about what an office should be and more. Here you will have access to 24/7 access to your office space, private conference rooms, opportunities to network with other professionals, the occasional Rooftop Wine Mixer, monthly events, and workshops on a variety of topics. 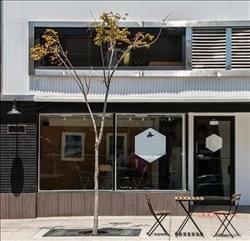 This creative workspace, located in the heart of San Diego’s Prestigious business district offers members access to an environment that promotes networking and connecting with like-minded entrepreneurs. The center provides a variety of workspace types, from private suites, dedicated desks and hotdesking options. There are meeting rooms on-site and the rental fee is fully inclusive. One of the top courtyard buildings in the area, it features stunning contemporary restrooms, a beautiful main entrance lobby, a water fountain courtyard surrounded by a peaceful garden seating area. Just across the street is a Staples shopping center plus food court. There are four windowed sound-proofed offices available that range in size from 115- 203 square feet, along with a spacious and well-appointed waiting room with a notification light system, reception area, kitchen, storage area, and group/conference room. There is a locking door that separates the waiting room from the offices. 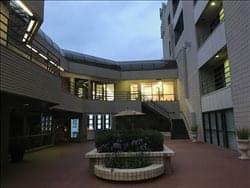 This center ‘s location consists of one, three-story atrium-style office building with modern lobby and common areas. It’s modern appeal gives off a vibe that most California atmospheres do. With beautiful interior, palm trees and plenty of natural lighting, this is the place to be. This space offers a private office, semi-private office, and coworking. It has a great environment with the opportunity to work in different locations. The on-site staff that is very supportive and fun to work with. Cozy, quiet, central. This modern gem is perfect for a downtown meeting or break. Here you have access Shared Desk, Dedicated Desk and Semi-Private Offices in the open space. We have Meeting and Podcast Rooms available. Here the co-workers have a vary booking credit based on their package. At this center, you will be providing Business Address and Mailing service and event space to our coworkers and the external customers as well. At This space Cowork Hillcrest we have everything necessary to support our coworkers in being productive, including amenities such as ergonomic chairs, stand up desks, conference and podcast rooms, easy street parking, 24/7 access, soundproof phone booths and event spaces, as well as an overall calm, relaxed atmosphere. If you’re looking for a professional workspace for your business, look no further. 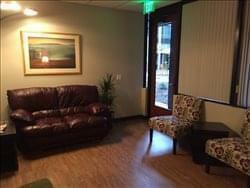 Locally owned This center will allow you to do business in comfort and style. 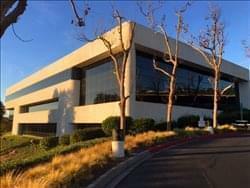 Our business center is located on the first floor of an architectural gem, in a convenient location next to the 5 and 805 freeways. An impressive environment for your business to thrive in, Workspaces range from $195-1995. 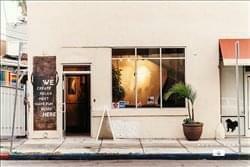 This center is a new premium coworking community in Downtown San Diego and prides itself on being a community built by entrepreneurs for entrepreneurs who want to reach higher. They strongly believe bringing people together fosters better work and increases work/life satisfaction. With events and workshops lead by industry experts, this center make success accessible and attainable. With that goal in mind, the center offers flexible plans, additional shared office space and executive suites.